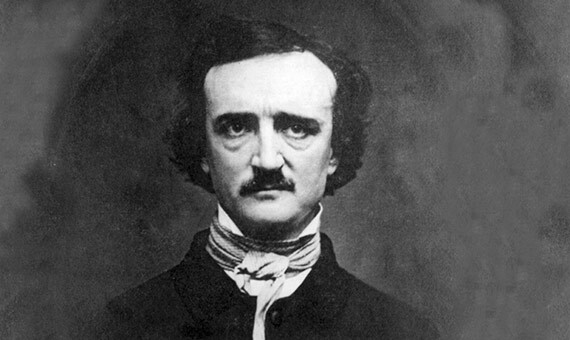 Nowadays, if people know about Edgar Allan Poe (January 19, 1809-7 October 1849) it is usually for his short stories and his tales of terror. His 40 years of unstable life gave him enough time to revive the Gothic novel and invent the detective story, and to be a poet, critic and journalist. 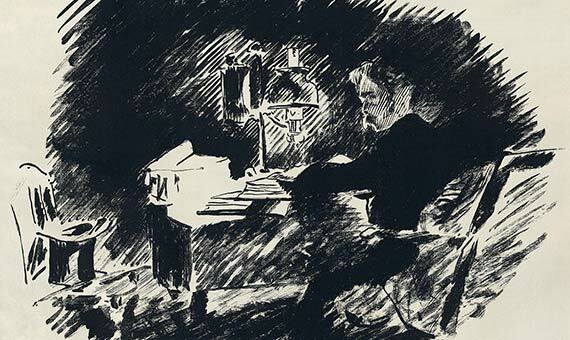 But he also had time to try his hand at science, and at the end of his days he was convinced that he would be remembered more for his scientific ideas than for his literary writings. The author of The Gold-Bug devoted his last and little known work to capturing his thoughts about the universe. Here we review the B-side, the scientific one, of a tormented genius whose life began to get complicated very early. Born as Edgar Poe in Boston, before his third birthday he had lost his father and mother, was separated from his older brother and little sister, and was taken into the home of the wealthy Allan family of Richmond, Virginia. Although the Allans would give him the name and a good education, Edgar Allan Poe never quite managed to get along with them, to the point that his foster father would eventually disinherit him. The ghosts of his lost biological family never left him and some scholars of his work see that traumatic childhood reflected in his gloomy literary style. At the beginning of 1826, Poe entered the University of Virginia. There he stood out for reading everything that fell into his hands and being a diligent student who translated classical languages ​​almost effortlessly. He was also known for having disturbing nightmares and problems with drinking and gambling. It was at that time that he began to deepen his study of history and literature, in addition to becoming interested in scientific disciplines such as mathematics, physics and astronomy. Poe had a special predilection for astronomy and later in his life he would propose a solution to Olber’s paradox. This physics problem presented the contradiction that in a static and infinite universe replete with stars—that was the description of the universe at that time—the night sky should be completely bright, with no dark regions. At a conference in the Society Library in New York, Poe gave a lecture in which he argued that the dark spaces between stars were due to the fact that the distance to the furthest stars was so great that no rays of light from them had been able to reach the Earth yet. Poe’s life seemed to stabilize around 1836 when he married his first cousin Virginia Eliza Clemm and began working at Graham’s Magazine in Philadelphia, where he would write his great crime novels—The Murders in the Rue Morgue (1841) and The Gold-Bug (1843). However, things once again took a turn for the worse when in 1842 his wife fell ill with tuberculosis, which would send her to the grave five years later. Given his tough situation, Poe would again turn to alcohol and this time also laudanum (prepared from opium), which brought him significant health problems. Despite his physical and mental deterioration, 1845 would deliver his first great success in life: the poem The Raven, which achieved overnight success and is considered the most famous poem in American literature. After the death of his wife, in the winter of 1847, a dejected Edgar Allan Poe immersed himself in physics to write his tenth and final work, the non-fiction essay Eureka, subtitled A Prose-Poem, which he dedicated to the German scientist Alexander von Humboldt. In the years when Darwin was working on his theory of evolution or Maxwell was managing to unify electricity, magnetism and light, Poe proposed in Eureka “to speak of the Physical, Metaphysical and Mathematical—of the Material and Spiritual Universe—of its Essence, its Origin, its Creation, its Present Condition and its Destiny.” Although the essay does not follow the scientific method and is riddled with errors, it does contain some unexpected successes, among which is the idea that the universe was generated from the explosion of a single primordial particle—an intuition of Poe that would anticipate the Big Bang theory by almost a century. Shortly after publishing Eureka, Edgar Allan Poe wrote a letter to his aunt (and mother-in-law), in which he said: “I have no desire to live since I have done Eureka. I could accomplish nothing more.” And so it was. Poe died shortly after in Baltimore, convinced that he had made one of the most important contributions in the history of science.